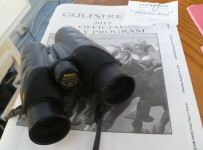 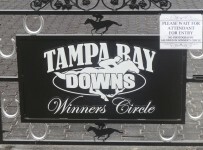 Saturday, March 14 — Tampa Bay Downs will have an 11-race card today, with first post time of 12:40 p.m. 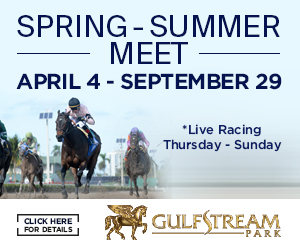 The feature is the fourth race, a $25,500 allowance/optional claimer race at five furlongs on turf for 4-year-olds and up. 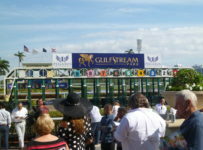 Post time is 1:40 p.m. 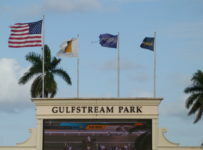 Varsity and Master Blender, both shipping in from southeast Florida are the likely favorites in an eight-horse field. 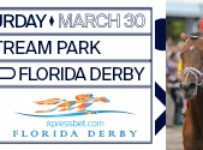 The Tampa Bay-stabled contingent includes the 10-year-old Florida-bred Hold On Smokey, who is owned and trained by Joyce Kielty and will be ridden by Augusto A. Marin. 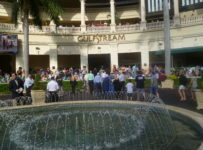 Varsity, Hold on Smokey and Bonetown Wild are the only three horses in for the $62,500 claiming price. 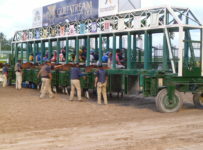 Hold On Smokey has won 19 of 61 starts, with career earnings of $416,707. 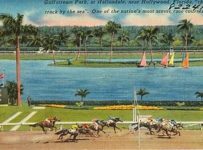 In his previous start on Jan. 10, he finished a highly respectable fourth in a 12-horse field in the $100,000 Turf Dash in a race in which the winner, Bold Thunder, set a Tampa Bay Downs five-furlong turf course record of 54.63 seconds. 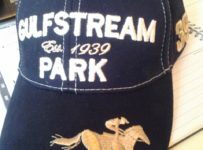 Hold On Smokey will break from the seven post, directly inside 8-year-old gelding Varsity, a homebred racing for owners Mr. and Mrs. Bertram R. Firestone of Genuine Risk fame and trained by Christophe Clement. 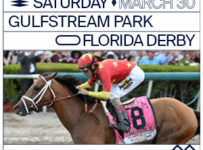 Varsity will be ridden by Victor Lebron. 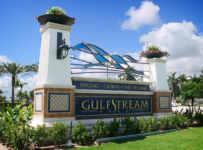 Varsity, who did not race until his 4-year-old season, last found the winner’s circle in February of 2013 in the Gulfstream Park Turf Sprint Stakes, but back-to-back bullet workouts at the Payson Park Training Center in Indiantown, Fla., seem to indicate he is in excellent form. 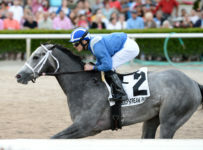 Master Blender, a 5-year-old Florida-bred owned by Anne D. Scott and trained by Kirk Ziadie, will be making his first career turf start. 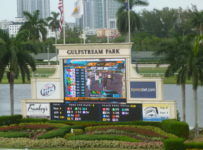 He won three consecutive dirt sprints in south Florida last year before finishing fourth in the Grade III Mr. Prospector Stakes at Gulfstream on Dec. 27. 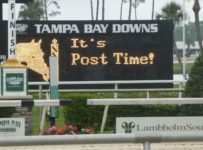 Leading Tampa Bay Downs jockey Antonio Gallardo has the riding assignment.